Dog flu is a fairly new disease and was first reported in racing greyhounds in 2004, according to the Centers for Disease Control (CDC). It is caused by a respiratory virus and is highly contagious. Fortunately, a vaccine has been developed, and dog flu is not typically serious. The dog flu is a type A influenza virus similar to the viruses that cause flu in humans, birds, swine and horses. Each type of flu has a different classification based on the proteins on the surface of the virus, abbreviated with an H and an N. The first strain of dog flu was identified in racing greyhounds and is of the H3N8 type. This strain originated in horses and mutated to affect dogs. A more recent outbreak of dog flu involved an H3N2 strain of influenza virus similar to that in birds. According to the CDC, this occurred in South Korea, however the H3N2 strain was reported in the United States in 2015. Most cases of dog flu are mild, but in a few dogs (less than 10 percent), the flu can be life-threatening. During the initial outbreak in greyhounds, there were numerous deaths from pneumonia and bleeding into the lungs. However, these complications have not occurred on a large scale in the general pet population. Seek veterinary care immediately if your dog is experiencing labored breathing, weakness, severe coughing or a fever of over 105 degrees Fahrenheit. All puppies with symptoms of canine flu should see a veterinarian to be checked for pneumonia. You should also make an appointment with your vet if your dog's symptoms persist beyond a few days or get worse. If your dog develops a cough, the vet's office may want you to notify them as soon as you arrive so they can take steps to prevent your sick dog from meeting other pets in the lobby. Your veterinarian may decide to test your dog for flu if he is showing the symptoms listed above. Kennel cough is another common respiratory disease in dogs, and the treatment in a mild case of either flu or kennel cough may be similar, so testing is not always done right away. An exam by your veterinarian will help determine how aggressive the testing and treatment will need to be. Tests are usually done on a nasal swab or a blood sample. Your vet will send these samples either to a local diagnostic laboratory or Cornell University. Several types of tests are available, but an antibody blood test is the most accurate overall. Sometimes it's necessary to obtain two samples and have them tested two to three weeks apart for accurate results. In a mild case of flu, your pet will probably need general nursing care and monitoring. Try to make sure she is drinking water and encourage her to eat. You may need to try a more enticing diet than usual such as cooked chicken, baby food or cold cuts. If you can check your dog's temperature, monitor him and cool his head and torso with wet washcloths if it is over 103. A normal temperature will be between 100 and 101 degrees for most dogs. It might be tempting to give him a human medication for fever, but this can be dangerous. Call your veterinarian for advice before giving any human over-the-counter or prescription medications. Many human medications are toxic to dogs. 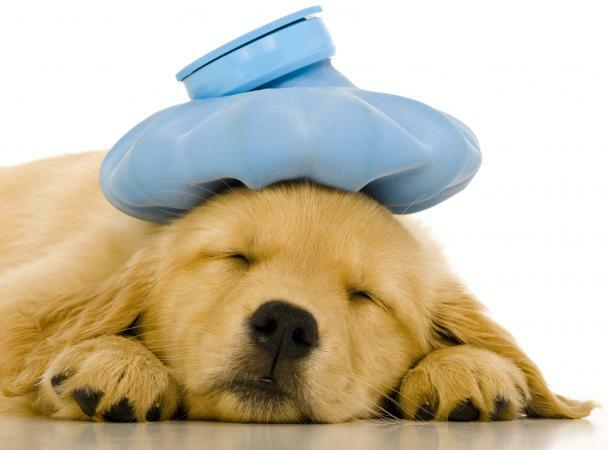 There is no cure for canine flu; your dog's immune system needs to fight it off over time. Your veterinarian may prescribe an antibiotic if she suspects your dog is at risk for pneumonia or has kennel cough. The flu virus itself does not respond to antibiotic treatment, but bacterial infections are common secondary complications. Your vet may suggest using cough suppressants, but only if your pet is coughing so much he cannot sleep. It is best to let your dog cough up the secretions in the lungs to try to avoid developing pneumonia. The threat of pneumonia increases for puppies, old dogs, dogs with other medical problems or those on certain medications. Once your pet has recovered from dog flu, follow-up care is not generally needed. In more serious cases, your vet may want to order another set of chest X-rays. Fortunately, a vaccine is available to protect against the H3N8 strain of dog flu. It is unknown whether this will also provide immunity against the H3N2 strain. Not all dogs need to be vaccinated against flu, and you should discuss this with your veterinarian. In some areas, local boarding kennels or day care facilities will require your dog to have a flu vaccine. Vaccination will decrease your dog's chances of catching the flu but the vaccine is not 100 percent effective. Dogs with flu will show symptoms about five to seven days after being exposed to another sick pet although they may be contagious to other dogs before that. Canine flu is spread through contact with respiratory secretions through the air, direct contact with another dog, or on fomites (such as shared food and water bowls, toys, brushes, or surfaces). If you learn there is an outbreak of dog flu in your area, you can prevent infection in your dog by minimizing socialization during that time. Avoid dog parks, pet stores, and day care or boarding if possible. 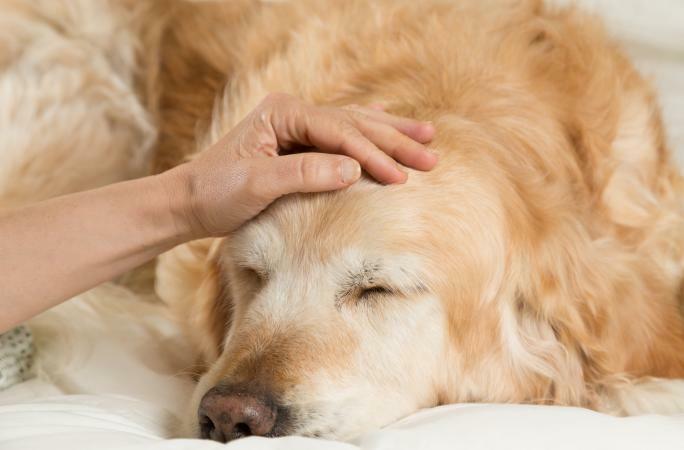 The American Veterinary Medical Association reports dogs with flu will be contagious to others for seven to ten days from when they first have symptoms. It is safest to keep your pet away from other dogs for 14 days to help prevent further spread of the flu. In cases with the H3N2 strain, dogs could be contagious for up to 21 days. Can People Catch Dog Flu? There have been no reported cases of humans with the canine flu. However, the H3N2 strain has been shown to infect cats. As with any influenza virus, mutations are common and could result in a new strain of virus that behaves in a different way. Thankfully, dog flu is not usually serious, and dogs will recover within a few days to a week. Keep your canine companion current on his vaccinations to help prevent an unpleasant illness and keep everyone in the family happy.